If you would like the divorce to proceed then you simply need to answer the questions, sign the document and send it back to the court address on the bottom of the form. This scenario often occurs if your ex has used ‘unreasonable behaviour’ as the reason for the divorce. note in the box that asks if you intend to defend the divorce that you do NOT, but that you do not agree with the particulars of behaviour as stated. This will ensure that you have on record that you do not admit to any of the alleged behaviour, whilst ensuring your divorce can proceed through the court to the next stage. Approximately 70% of couples who divorce in England and Wales must use ‘behaviour’ as the reason for the divorce. This is because the other four options (desertion, five years separation (only one person has to agree), two years separation (both people must agree to divorce) and adultery) do not apply. The divorce laws in England and Wales are out of date and have not been updated in over 50 years. If you want to move on, and the other reasons are not relevant, ‘behaviour’ may be the only option available. Therefore, be pragmatic in your approach and see it as a means to an end. Your divorce petition and the examples of your behaviour will not be made public unless you have to go to the High/Supreme court (which almost never happens). The unreasonable behaviour statement does not have any bearing on your financial split. A different judge will read your divorce petition to the one who reads your financial proposals. For more help with unreasonable behaviour, click here, or book a free 15 minutes call with one of our experts. Don’t just ignore the divorce petition. If the court believes you have received the papers the divorce will continue without your Acknowledgement of Service Form. The court may also decide to hand deliver the papers to you, and you may well be charged for this. In reality, relationships are such that if one person is sure it’s over then you can’t force them to remain married to you. It’s always helpful to get some emotional support, either as a couple or as an individual to help you come to terms with the situation. Relate is a good place to start, or search for local or online therapists. It’s always better to try and work through raw emotions than react hastily or in anger… which could get you nowhere and leave you of pocket. 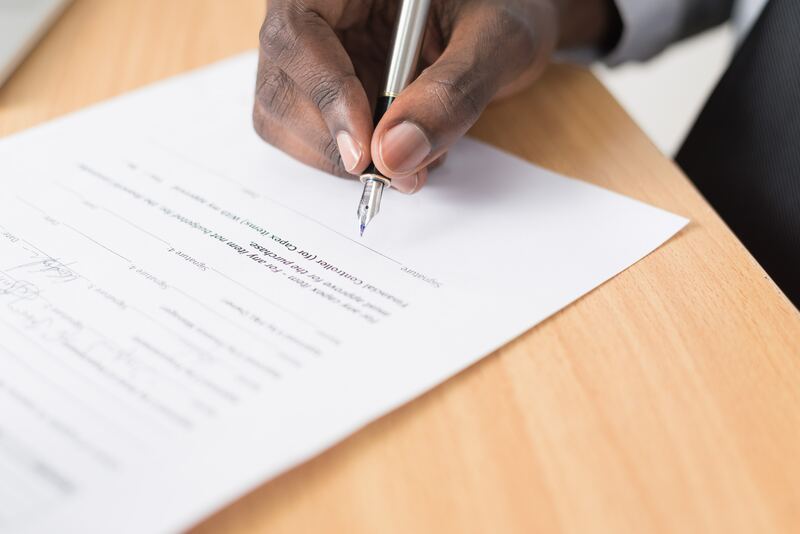 If you are sure you want to contest the divorce (and that you have a legitimate reason to do so), fill in the acknowledgement of service form, stating you wish to defend the divorce. YOU MUST DO THIS WITHIN 8 DAYS of receiving the petition. The court will send your ex copies of the papers saying you wish to defend the divorce. Once you’ve sent the papers to the court, you must fill in the form D8B and say why you wish to defend the divorce. Disagreeing with your ex behaviour statement they made in the petition, or not wanting to be divorced are not normally a good enough reason to defend the case. You must complete this form within 21 days and pay a fee of £245. For more help, get in touch with one of our amicable experts by booking a free 15-minute call here.